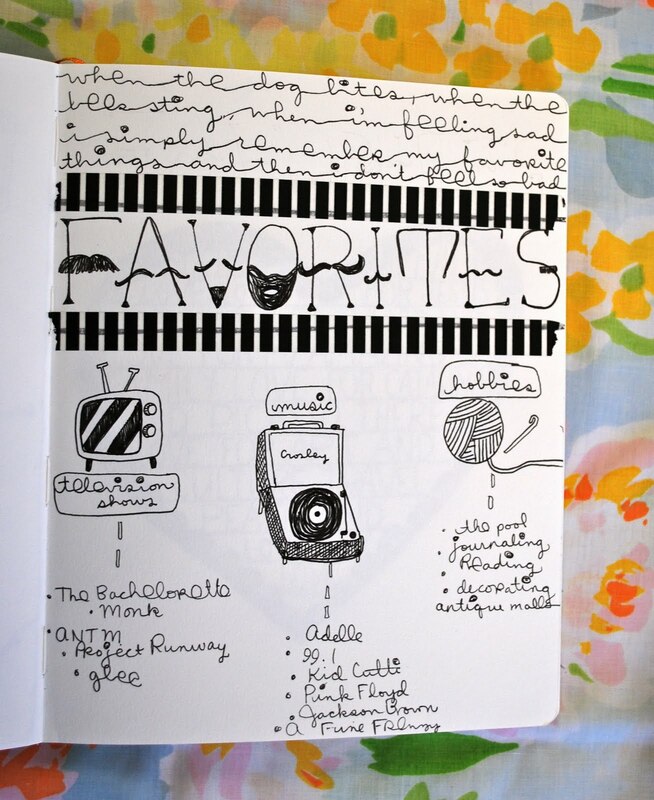 Journal Prompt: Favorites!!! This is another fun prompt to revisit every once in awhile. If you are like me, your "favorites" may change a lot. What are your favorite songs, television shows, and hobbies right this second? Are you loving that mustache font as much as I am?? Lol! I saw it on dafont.com and downloaded it immediately. I love to find new fonts online and then mimic them in my journals. This time around I really wanted to try out new fonts and typeography in my journal so this was a perfect example of that. what a great page janel! OMG - that font!! Too funny. I downloaded it, too. I'm becoming a collector. . .
Oh I love this one! Yay! that font is the most amazing thing i've seen!